Gilded Pleasure Nail Valet and Envy “IT” Bag debut this spring! 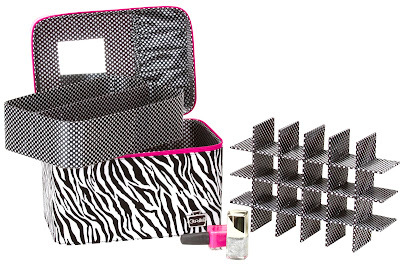 Caboodles – the leader in cosmetic organization since 1987 – added two more must-have items to their extensive collection of products – all designed to help women stay polished, stylish, social and altogether organized. Gilded Pleasure, a portable nail valet, and the stylish Envy “IT” bag, both set to launch this spring in-store nationwide in Target, WalMart, and Meijer. The Gilded Pleasure Nail Valet Caboodle is the ultimate companion for any nail polish lover who wants to organize their ever-growing polish collection. 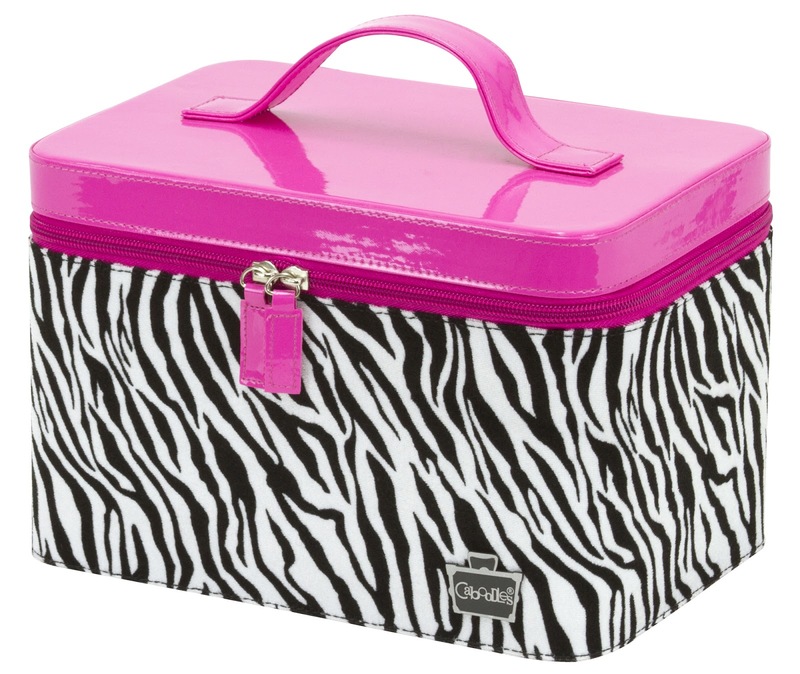 In keeping with this spring’s hottest trends, the new Nail Valet comes in black-and-white zebra print with a hot pink zippered top for an added pop of color. A mirrored lid and five elastic top pockets in the lid keep manicure supplies separated and secure. The horizontally divided, removable, 2.5" deep tray is perfect for housing polish remover, cuticle oil, hand cream and any other mani-pedi must-haves. In the base is a removable 24-compartment grid divider where 24 pretty nail polishes nest neatly in four rows of six. The Gilded Pleasure Nail Valet Caboodle is compact and sleek at 10" L x 7" W x 6.5" H, and has a suggested retail price of approximately $29.99. Also launching this spring is the Envy “IT” Bag, which helps beauty lovers go from work to play and back again. The chic carrier is a tote that does double duty as a makeup organizer. Outfitted in sleek black fabric with white polka dots, it opens to reveal a spacious interior with smartly placed inner pockets and elastic band storage to keep products and brushes in place. Keys, iPhone, lipstick – there is room for all the necessities. The Envy “IT” Bag will be exclusively available at Wal-Mart and measures 13" L x 7.5" W x 6.75" H with a suggested retail price of approximately $29.00-$34.00. 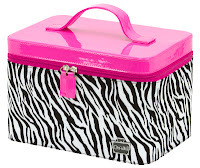 For more information visit www.caboodles.com.